Cabinet Factory Outlet is a wholesale provider of quality kitchen cabinets, bathroom vanities, countertops, hardware and accessories. Located in Swansea, Massachusetts, we sell to consumers and contractors throughout the South Coast area, including Southeastern Massachusetts and Rhode Island. 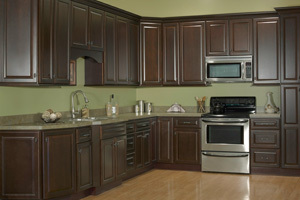 We are a proud wholesale dealer for JSI Cabinetry, one of the leading manufacturers of cabinetry in North America. Assembled in the U.S.A., and using all wood construction and craftsmanship, the quality kitchen cabinets and bathroom vanities that we sell to our customers are designed for use in residential and commercial residential properties. In addition to our quality cabinets, we also sell RTA (Ready-to-Assemble) cabinets for those wanting to save even more money on their kitchen and bathroom budgets. A selection of countertops and hardware are all available at our wholesale showroom to help our customers get the materials they need to create a beautiful, coordinated and functional space. Make sure to ask about our SPECIALS and take time to learn more about taking proper MEASUREMENTS to ensure that you select the right size kitchen cabinets, bathroom vanities and materials for your home improvement project! 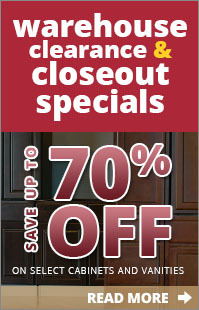 Our goal at Cabinet Factory Outlet is to give our customers high quality products and materials at a great price. We strive to be a service that our customers can count on to get them the biggest return on their investment. Through our relationships with top industry manufacturers, we can help them gain access to all of the popular styles, designs and colors that they want to create the kitchen or bathroom of their dreams. We have a wide selection of all wood construction kitchen cabinets, bathroom vanities, hardware and accessories at our Swansea, Massachusetts location. 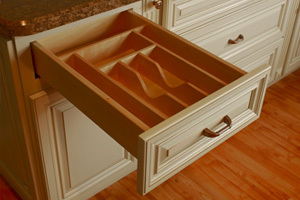 We carry a range of sizes and unique specialty cabinet options to ensure the best possible fit to help you achieve your goals. If you have any questions about Cabinet Factory Outlet or the products and services we provide, please give us a call at 508-379-6154. Connect with Cabinet Factory Outlet and start planning your brand new kitchen or bathroom remodeling project today. Give us a call at 508-379-6154 or use our online contact form to send us a message. Make sure to ask about our specials!